Varicose and spider veins affect millions of people every year. In the last 10 years varicose and spider vein treatments have changed drastically. Dr. Adey Agbetoyin and his team of vein care specialists provide the most advanced, minimally invasive vein treatments available. Some of West Tennesee Vein Center's vein services include: Laser Ablations (VenaCure EVLT), Microphlebectomy, Sclerotherapy, Vascular Ultrasounds, diagnosis and management of Venous Disease. Varicose veins, are enlarged and twisted rope-like veins that appear near the surface of the . They skin are a result of venous disease (a disease in the veins). 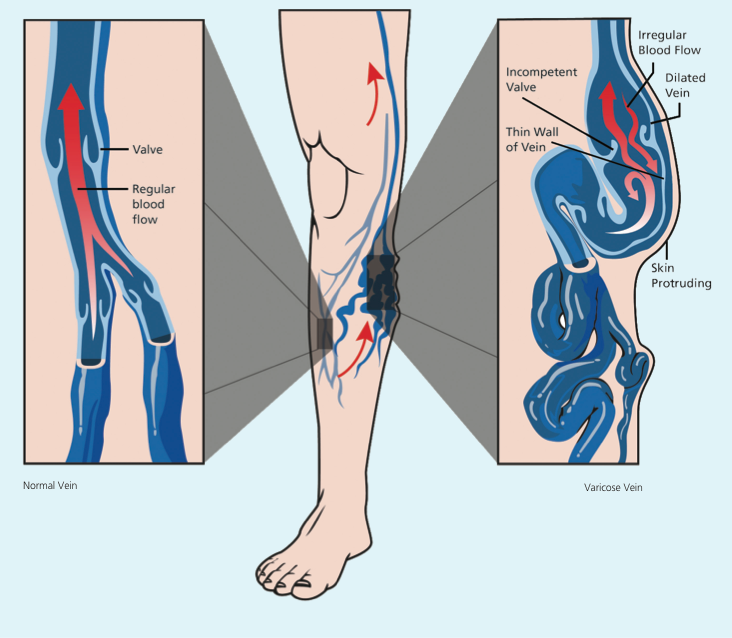 In normally functioning veins, tiny one-way valves open as blood flows toward the heart and close to prevent blood from flowing backward.When these valves malfunction, blood pools in the veins, increasing pressure, causing additional valve failure, which weakens the vein walls and causes them to bulge. Spider veins (also known as telangiectasias) are small superficial thread like veins close to the skin surface. They are more prominent on the back and sides of the thigh and just below the knee. These veins are more distinct in fair skinned people, and more common in females. Spider veins may appear spontaneously and they have no symptoms. They appear as numerous fine bluish/red circles on the legs. If you think you may be suffering from Varicose or Spider Veins, please contact our office and schedule an appointment!